Finally finished my dream bike build. I saw this colour a while ago and really liked it...its a bit different and i have never seen one on the road which makes it even more appealing to me. The official colour is called "Nato Green" but that sounds a bit wankish so when people will ask what colour it is, i will just say green. Small cracks are where the bolts go in. 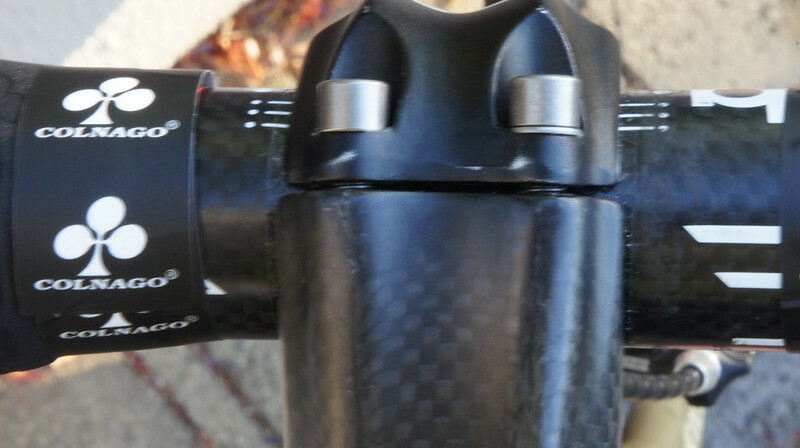 After a bit of research i found out the problem with this particular stem has happened in the past and there was a recall when they were first released. I havent dailed in my setup yet. I will do it once my new stem arrives. sjc166 wrote: I havent dailed in my setup yet. I will do it once my new stem arrives. Great looking bike! Nice frame color (not that nice name). Love the VW pickup, I wish we got those over here. This bike is screaming tan side wall tyre! 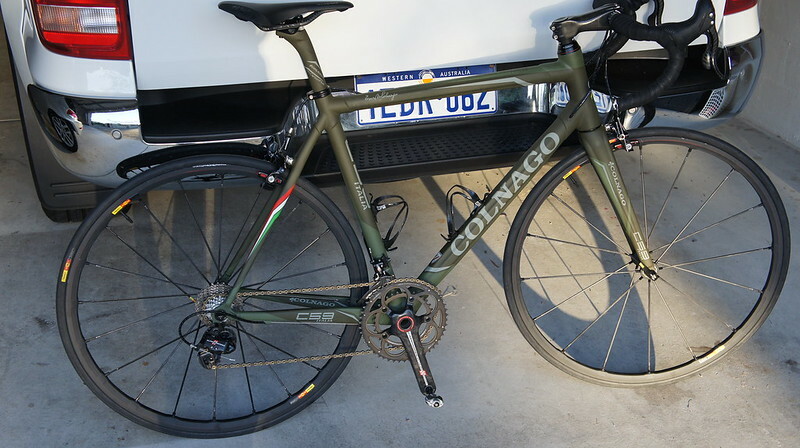 But hell that is one fine bike! Did u had a chance to weigh frame and fork before assembling ? 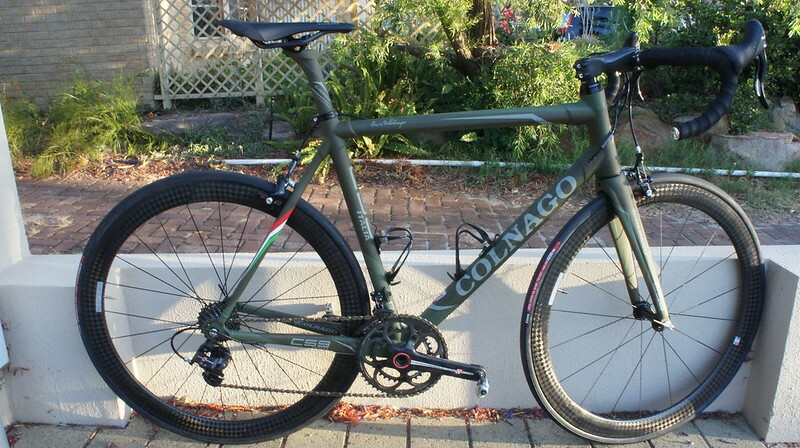 Both wheelsets look very nice on this bike ! I love the green! 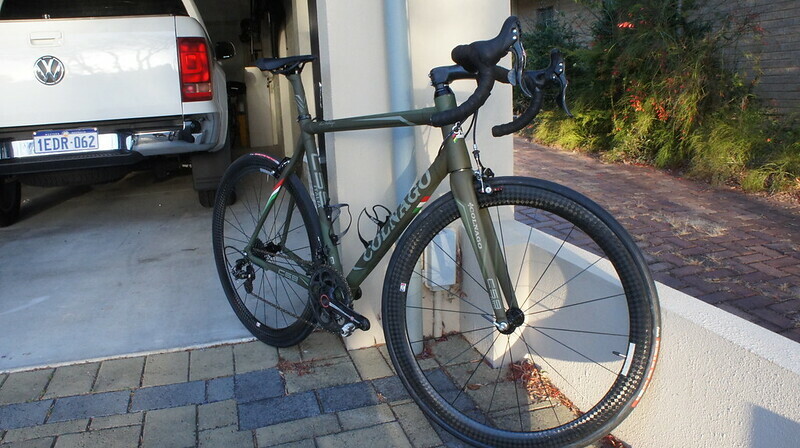 I just saw this frame color when I was browsing eBay yesterday. He claimed that there are only 2 in the US, I wonder how many are worldwide? Awesome bike, I love the color. Bravo, I love that scheme! 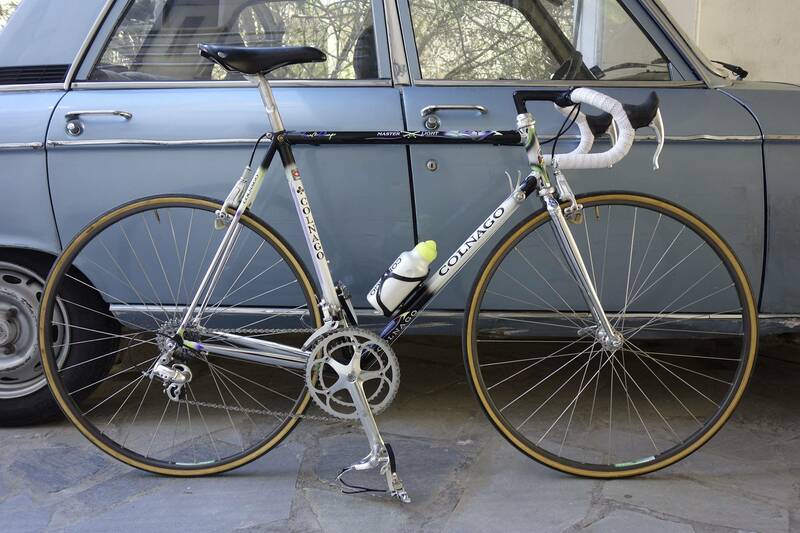 So different yet so colnago. The fiat grey was also a looker from the same year they did the green. 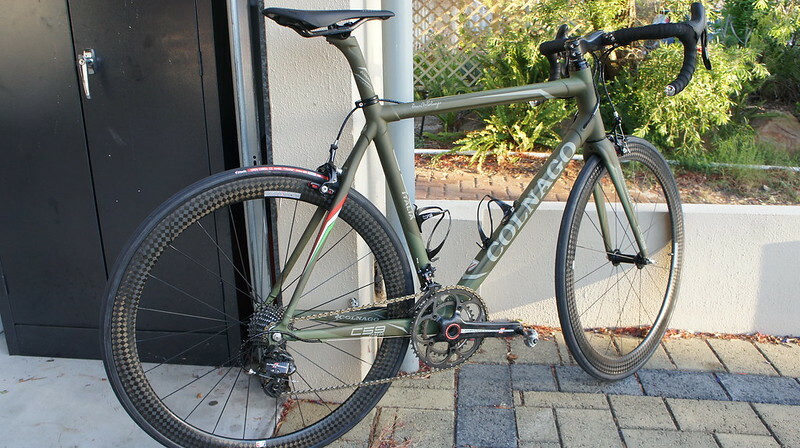 Would love to see a pair of tan sidewalls and a deda 100 stem but otherwise a very nice build. Now you just need this kit, and your all set! My New Open Up build, AKA The Green bean. by MechNYC » Wed Nov 07, 2018 5:56 pm » in Introduce Yourself / Gallery - Please use metric weights. Di2 Junction Box (SM-EW90-A) constantly blinking green?